Ten years ago, I opened up Google and started looking for tutorials on programming video games. While some folks on the Steam forums might argue otherwise, I think it’s fair to say that I have learned a lot in these ten years. I have worked with some incredibly talented people, traveled across the world, met some of my heroes and most importantly – had thousands of people tell me they liked my games. 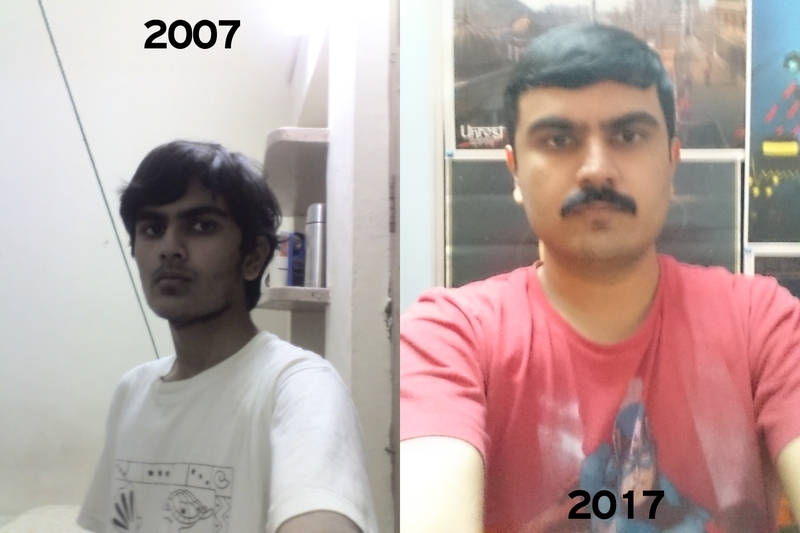 Left: My hostel room, picture taken on a Nokia brick. Right: My home office, picture taken on a slightly better brick. In the roughly seven-and-half years since I started Pyrodactyl, I released five games. Many people in creative professions talk about post-project depression, or a feeling of emptiness when you finish a big project. For each of my games, I had that feeling, but I would usually recover after a month or two. I live in a city which doesn’t have any local game developer community or support structure. It’s very hard to feel the love on the internet. We generally remember the negative comments more than the positives, especially online. Because I worked remotely, I had very little human interaction with my teammates, which further compounded the problem. This is why I have decided to take a sabbatical from making games. Consider it hibernation as I recharge and get my mojo back. If you’ve ever played any of my games and liked them, please consider tweeting (or emailing, facebooking etc) a small message of support. It’s the love that keeps us going. Hey Arvind, I feel really sad about the negatives you mentioned regardless of it being the truth. I have started a local community to address the problems you mentioned in Pune and I believe you should start one in your area to keep things interesting.